The Promoting Inclusive Markets in Somalia (PIMS) programme addresses critical market constraints in Somalia largely through co-investment with Somali firms, to stimulate the creation of long-term jobs, increase smallholder incomes, and leverage private sector investment. PIMS applies Markets for the Poor (M4P) principles to address the binding constraints in the productive sectors in Somalia, focusing on fostering behaviour change among the smallholder producers, promoting new production technologies and practices. PIMS also builds resilience by creating markets that can withstand climate shocks and maintain livelihoods during cycles of drought and flooding. The programme supports the development of input and product markets for small producers, entrepreneurs, and consumers in the value chains of livestock, including dairy; fisheries; and food crops such as sesame. PIMS supports lead firms in disseminating new and innovative market and production practices to smallholders and producers, better integrating market actors and systems within and across the targeted value chains. It reinforces success by facilitating knowledge and training opportunities, such as demonstration plots, for producers in adopting high-yielding inputs and more efficient production. In addition, PIMS supports the improvement of existing irrigation systems to provide access to small farmers for more reliable water supply at lower rates than commercial alternatives. PIMS also supports rehabilitation and improvement of poor quality market infrastructure, such as key roads which are critical supply routes for producers to consumers. PIMS aims to: generate net attributable income of £28,600,000 for poor producers and entrepreneurs; leverage £12.5 million in additional private sector investment; and create 10,500 long-term jobs—5,250 for women in particular. Undertake sector selection workshops with engagement from a broad range of Somalian stakeholders. Engage in detailed value chain analysis in selected sub-sectors. Assist the Ministry of Agriculture to draft an Irrigation Policy to guide the ministry on sustainable water management, a continued constraint to the growth of sectors in Somalia that are weather-dependent. 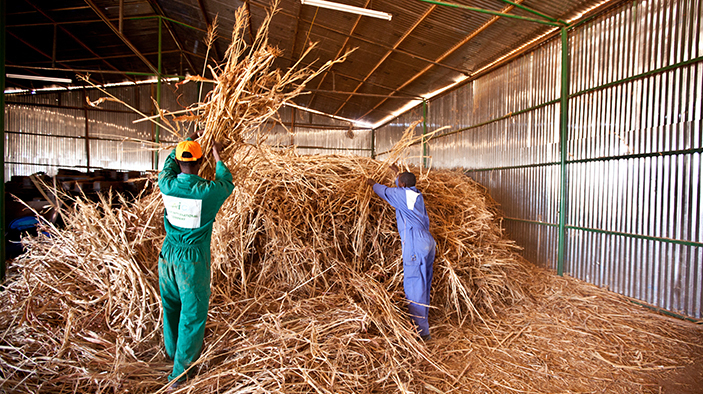 Partnered with 25 firms that have engaged 335 service providers to support smallholders in the sesame, dairy, and fisheries sectors increase their productivity. To date, 45,775 smallholders (35 percent women) have benefitted from PIMS support. For example, smallholder producers in the sesame sector have increased their productivity from 150 to 200 kilograms per hectare to 450. Trained 22 companies to meet end market requirements. The fish-exporting companies that have embraced improved fish-handling technologies and practices have reduced fish spoilage from 25 percent to 4 percent. Nearly 59 percent of the supported smallholders have increased their incomes by £9,922,629 and 8,398 full-time jobs have been created. The programme coordinated 10 investment promotion events that contributed to the establishment of 45 business linkages. In total, £7,152,252 private sector investment finance has been leveraged across the target sectors.